Japanese thermal minerals. For sensitive skin. Aluminium and paraben free. 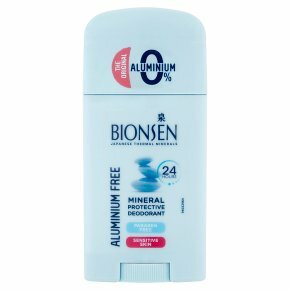 Dermatologically tested.Bionsen Deodorant contains Japanese thermal minerals which gently deodorise even the most sensitive skin, helps to prevent perspiration and unpleasant odours, providing freshness all day long.